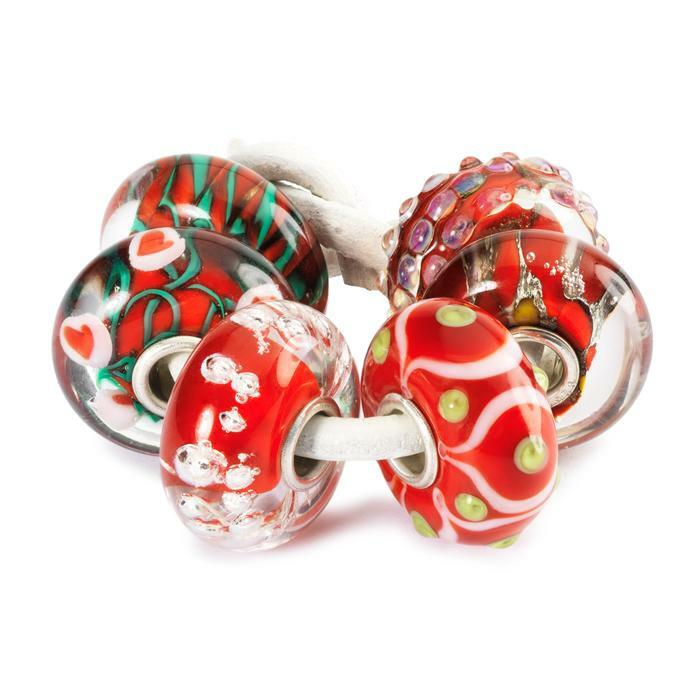 Trollbeads Christmas 2013 release – silver, gold and glowing! Following on from the Limited Edition glass sets (‘Elegant Christmas’ and ‘Christmas Love’) and the rather complimenting ornaments, here follows a round up of the reset of the release. Before I cover the silver and gold, I cannot forget what for some may be the highlight of this release – the Blizzard bead and tassel. 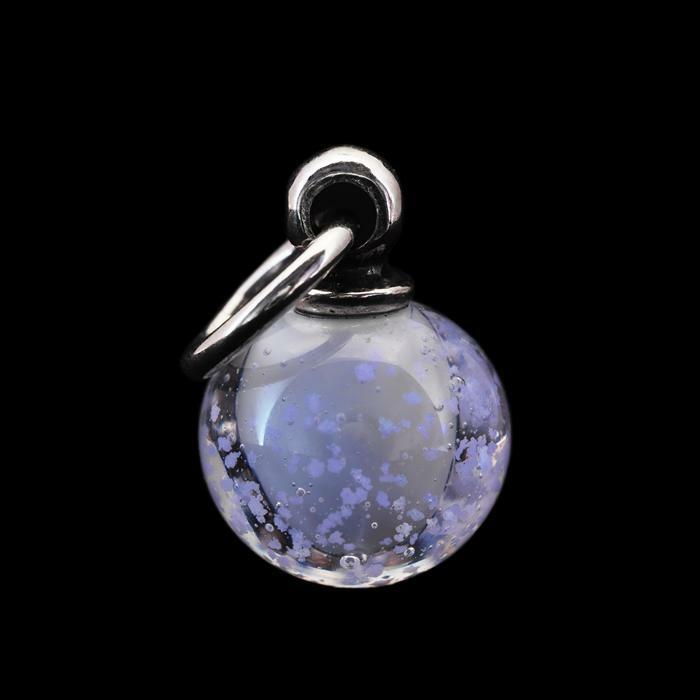 Blizzard (62032 – £32) is a clear glass bead with tiny white particles floating inside. 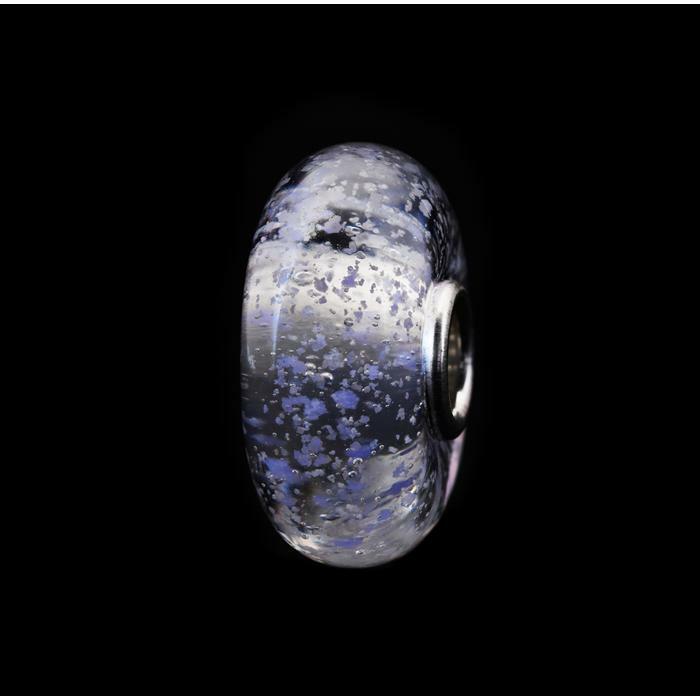 Although a stunning bead on first sight, the true beauty of this bead lies in its soft lavender glow. The glow becomes visible in the dark, after exposing the bead to light – similar to the Inner Glow (62027) which boasts a green glow. It has been said that in comparison to the Inner Glow, the Blizzard bead does not glow as much. Whether this is a variation between individual beads or just the bead in general, I do not know. 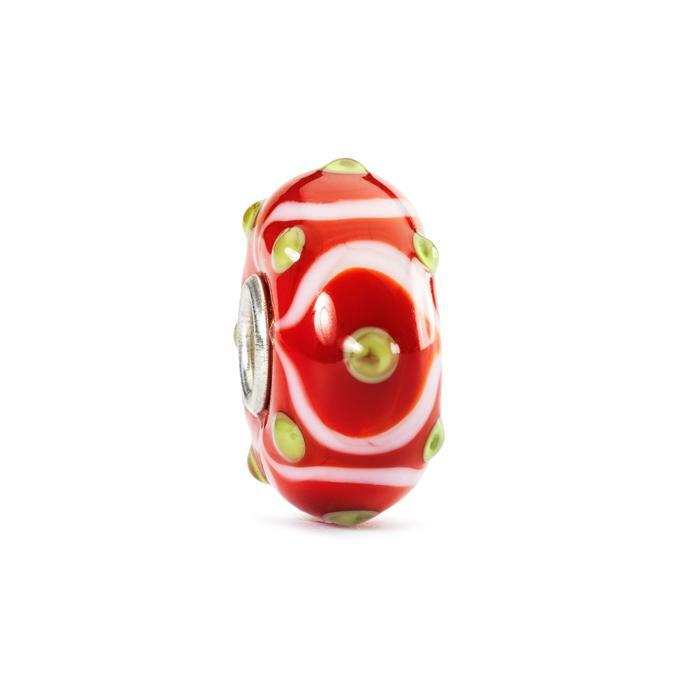 Trollbeads stock image – do not reproduce without crediting. 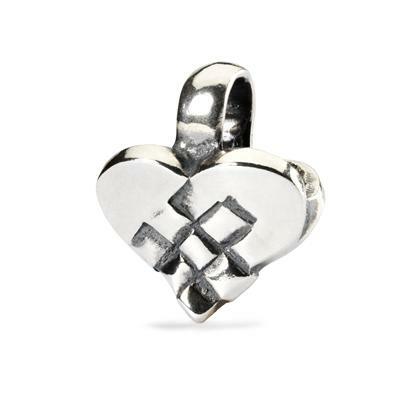 Finally, on to the silvers and golds …..
Christmas Heart (11292) £35 – Let’s plait our Christmas hearts together (a symbol of the paper hearts which are a Danish tradition at Christmas time). Singing in the Snow (11372) £42 – Singing snowmen bring you into the right Christmas spirit. 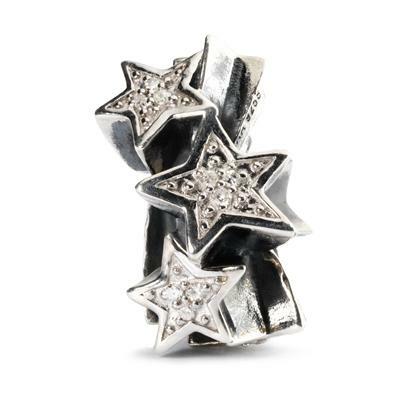 Shooting Stars (51750) £205 – When you wish upon a star… Here 24 diamonds sparkle like a beautiful fairytale. 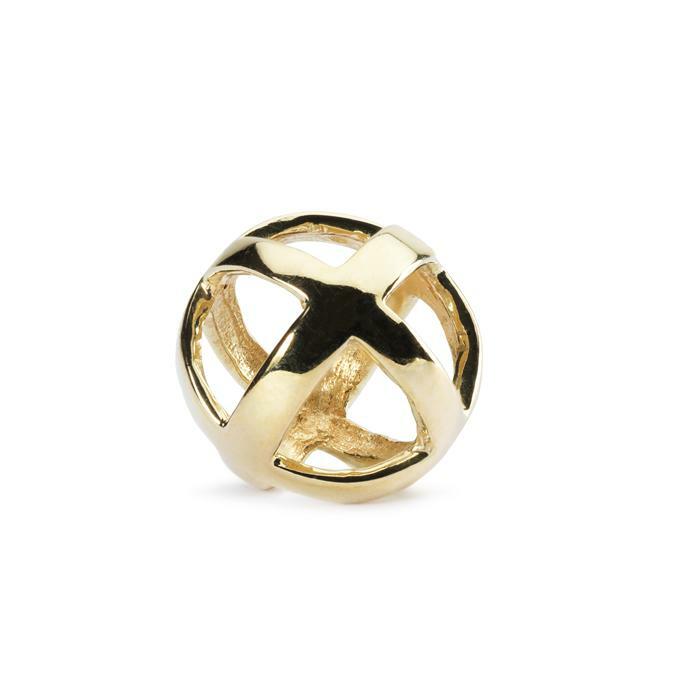 Stay Positive Gold (21167) £312 -No matter what way you turn this bead, you will always have a plus sign smiling up at you. A reminder to stay positive and focus on the good things in life. 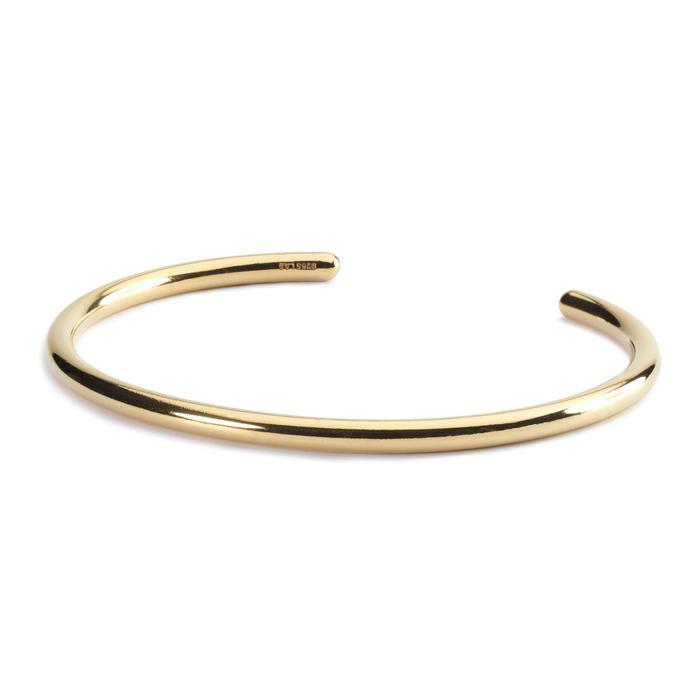 Gold Plated Bangle (15400GP) £182 – An elegant way to wear your Trollbeads. 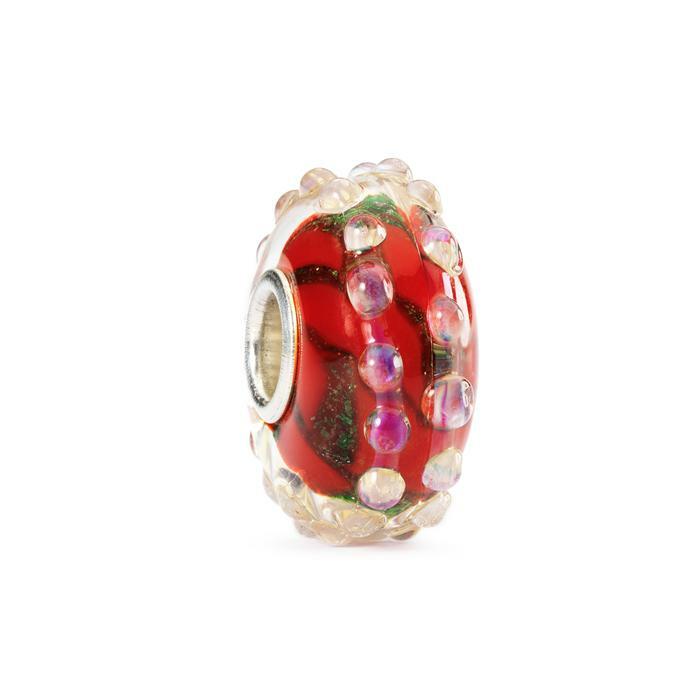 Use the bangle alone with your favourite Trollbeads or let several bangles decorate your wrist. Use Stoppers at each end of the beads. 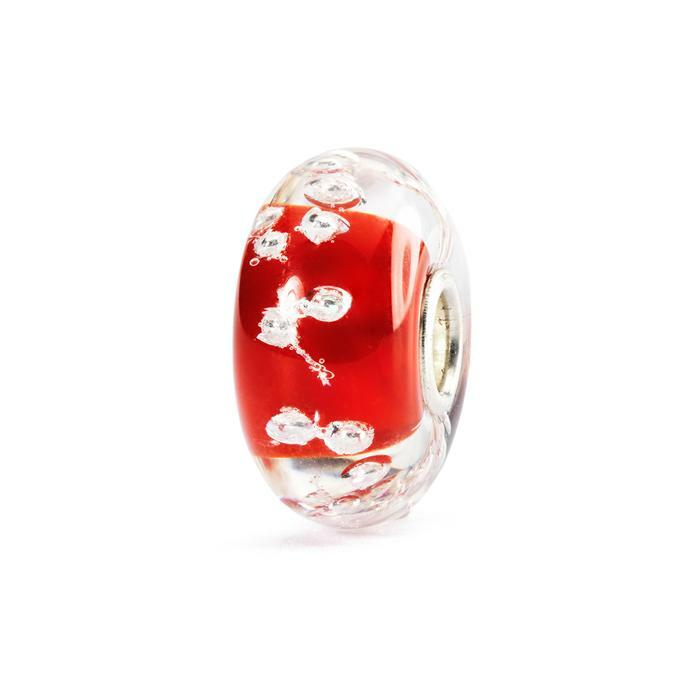 The bangle is available in sizes XXS, XS, S, M and L.
Following on from my review of the blue kit ‘Elegant Christmas’ from the Trollbeads Christmas 2013 releases, here is an overview of the red kit, Christmas Love (64611 – £192). The individual names of the beads in this kit are: Loving Hearts, Love Lights, Love Sparkle, Kiss Under the Mistletoe, Festive Love and Budding Love. The beads retail individually for £32. This kit is in more traditional festive colours, and I feel that it goes perfectly with the silver ‘Christmas Heart’ (11292), and also the silver ‘Singing in the Snow’ (11372) which are also part of the Christmas release. 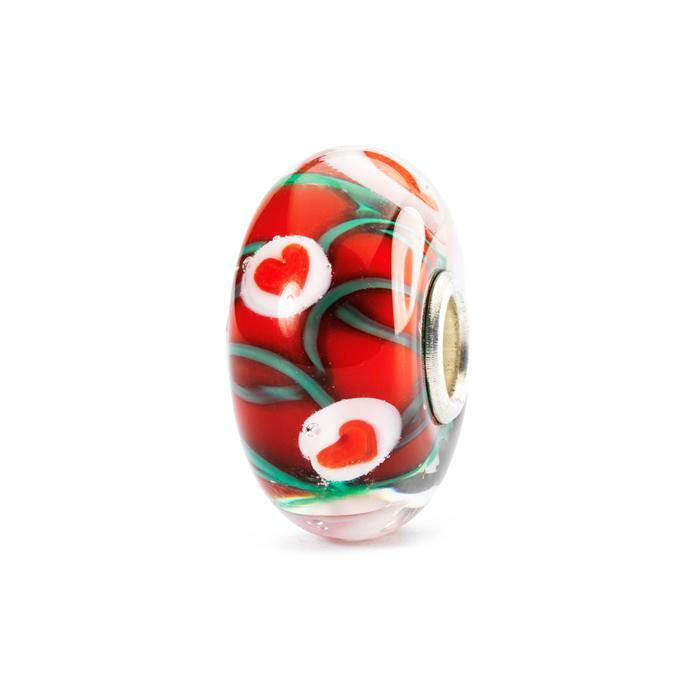 These beads also lend themselves perfectly towards a Valentines themed bracelet. Although my personal preference is the blue kit, I do see a lot of potential for the ‘Love Lights’ and ‘Budding Love’ beads from this kit. 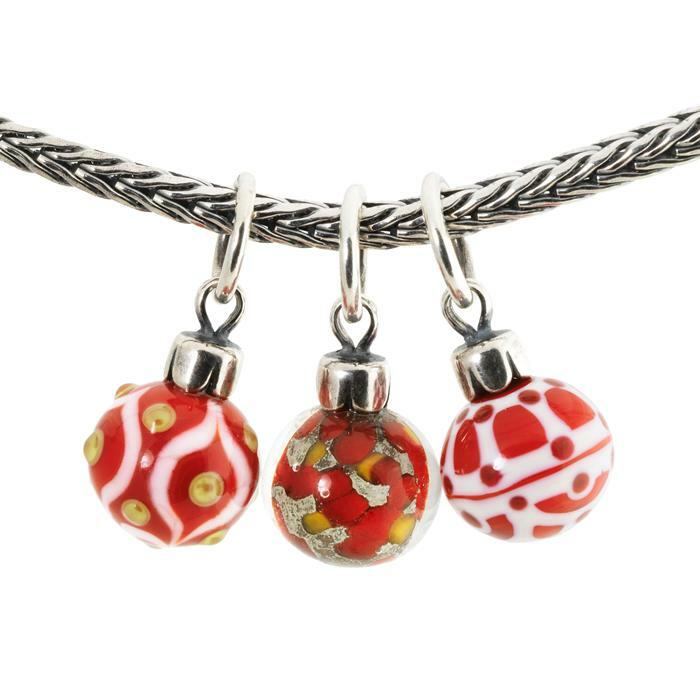 Again, as with the blue set, there is also a set of three Red Christmas Ornaments (sc63706 – £156) that compliment the glass beads. Which kit do you prefer? Today, whilst putting up the Christmas tree, I realised that I had not given any coverage of the Limited Edition Christmas glass sets. 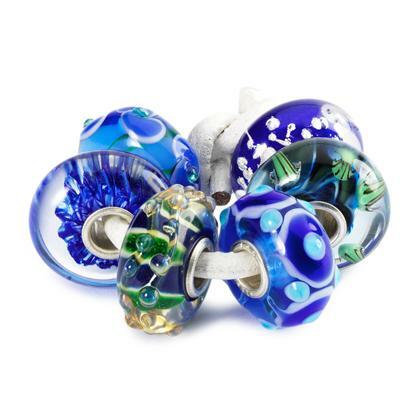 As I am not fortunate enough to have the full sets, I am unable to give in depth reviews of the beads, however I thought it still appropriate to give them a mention! First I will cover the blue set, Elegant Christmas (64612 – £192). 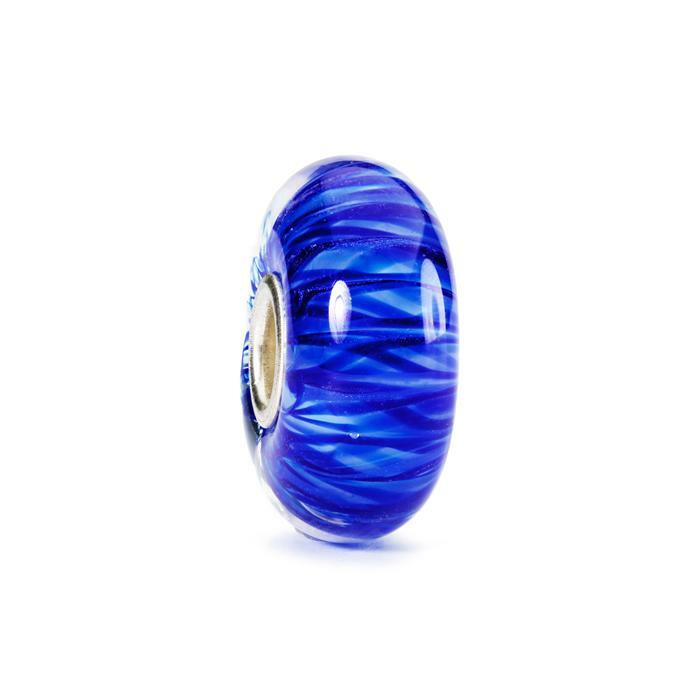 The names of the individual beads in this kit are: Elegant Swirls, Elegance in Blue, Elegant Sparkle, Blue Kiss, Party Elegance, Elegant Bud. The beads are available individually for £32. I normally lean towards more pastel shades when it comes to bead choice, however something about this kit captured my attention. It is indeed ‘elegant’. From what I have seen, there is quite a bit of variation, however the bead are all very complimentary to each other. The second bead in the kit (Elegance in Blue) has a spirograph / feather design and varies from a very pale and fine ‘thread like’ version to a deeper and more ‘ribbon like’ version – it is quite a versatile bead as it would go equally as well on a beach themed bracelet as a Christmas bracelet. 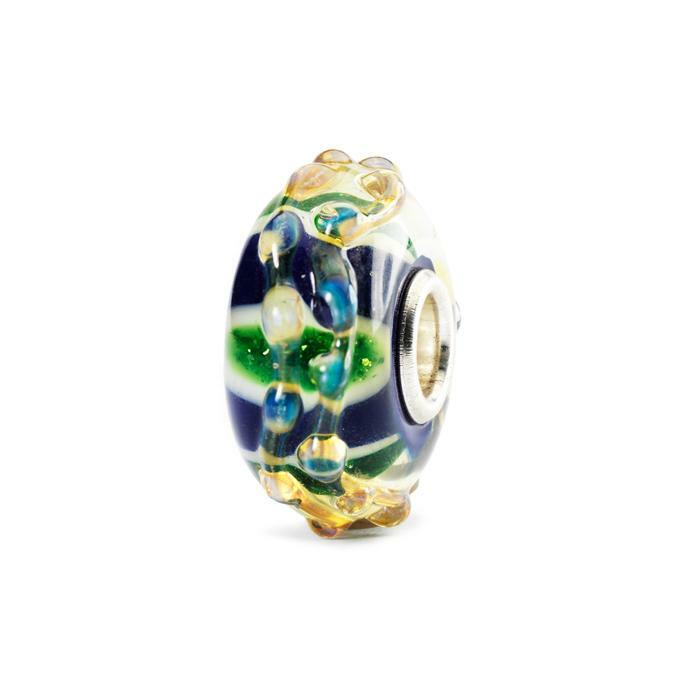 The third bead (Elegant Sparkle) has lovely molten drops, reminiscent of the ‘Meteor’ beads from the Uniques ‘Small & Beautiful’ range. 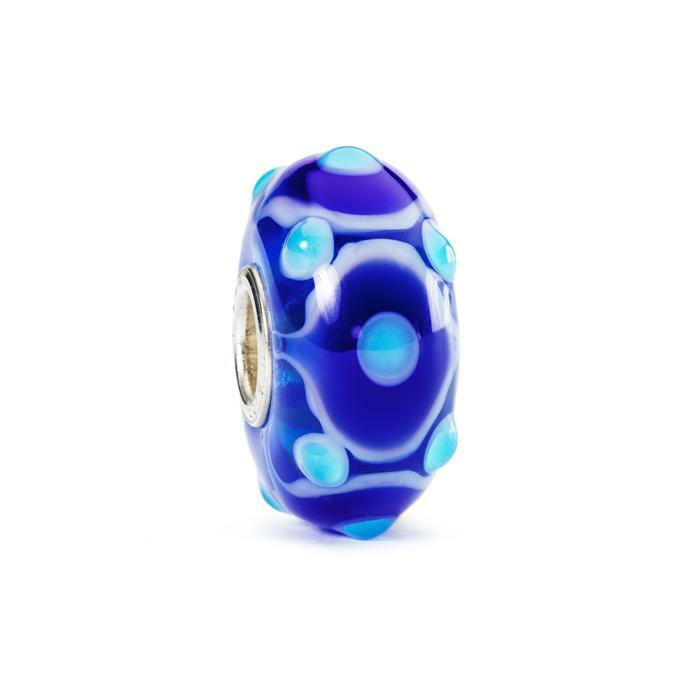 An amazing bead for a ‘night sky’ or ‘galactic’ theme. 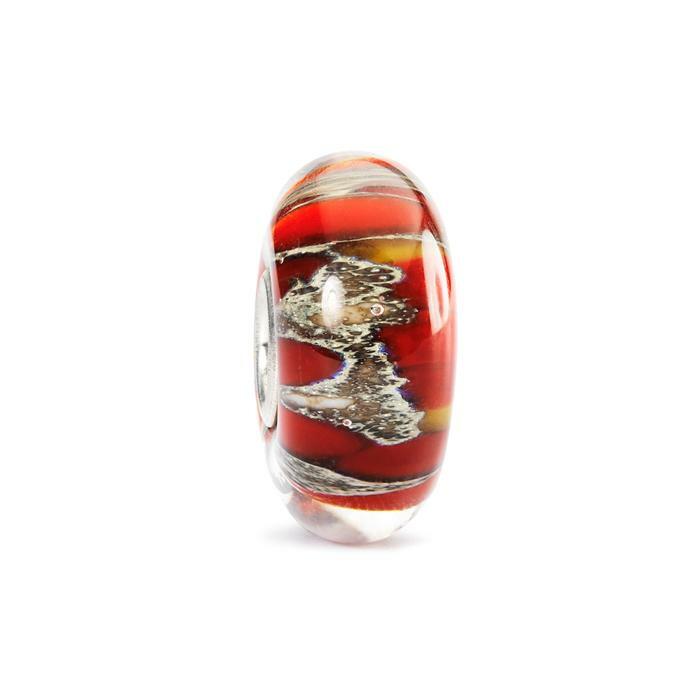 The fifth bead in this kit (Party Elegance) has me in a split mind as to whether or not I like it – it is a pretty bead, however I do not think it looks quite the same as the stock image, and I personally feel that the stock image is my preference with this bead. The sixth bead varies quite a lot in the size and number of buds. My version has fewer but larger buds, with plenty of champagne-coloured glass to surround the core and reflect the light. 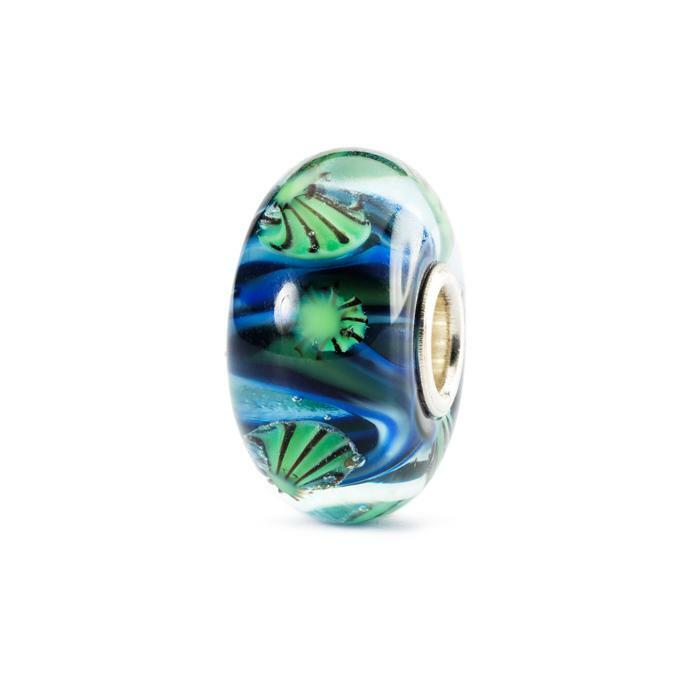 A very pretty bead that would not look out of place in a spring theme bracelet, or any bracelet that depicts deep shades of blue and green. My least favourite two beads are the first (Elegant Swirls) and fourth (Blue Kiss) of the kit, hence why I have left them until the end of this review. Although they are nice, they do not stand out for me as being far enough different, nor more special, from the standard Uniques range. However, as I said before, something about this set just captures me. 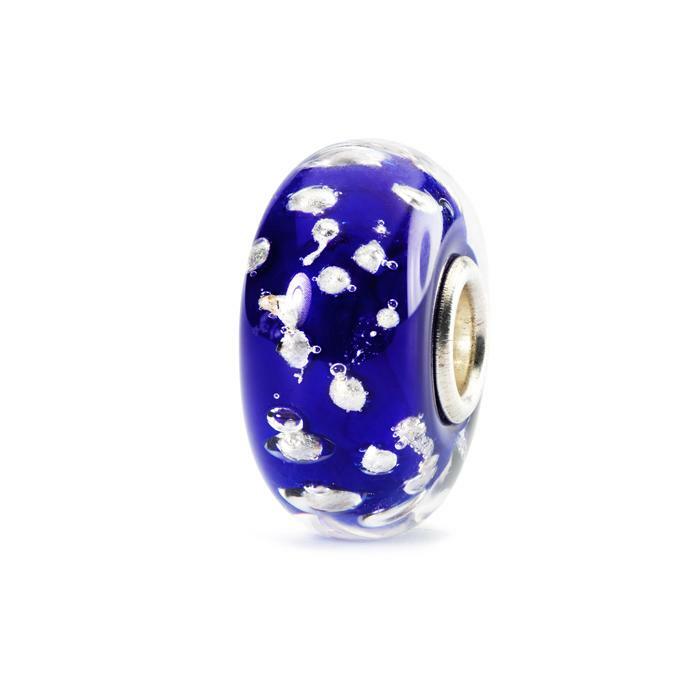 From this set, I have indulged in the Elegant Bud, Elegant Sparkle and Elegance in Blue. 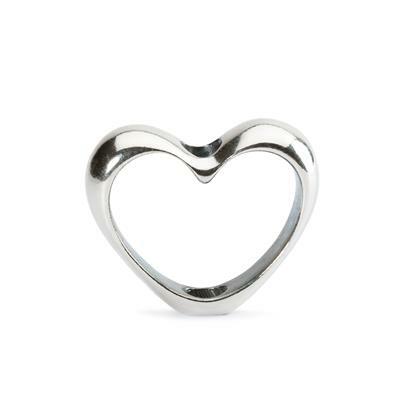 At some point I will picture the bracelet I have created with them as a little inspiration. 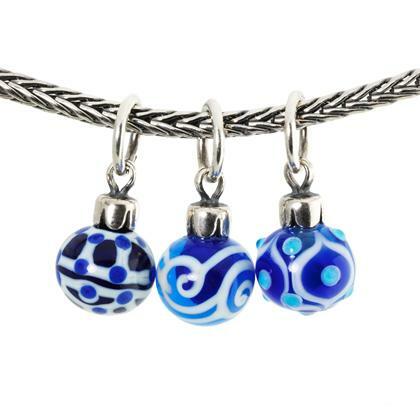 To compliment the blue glass beads, there are also three Blue Christmas Ornaments (sc63707 – £156). 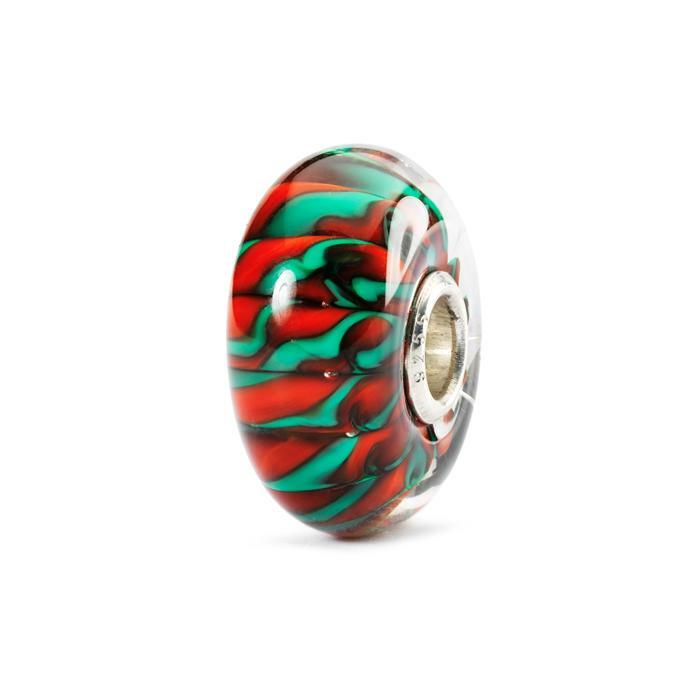 This idea of a Christmas bauble appeared last Christmas, however featured a number of unique designs. This year, there are just three designs of blue ornament, and a further three red ornaments to complement the red glass set. 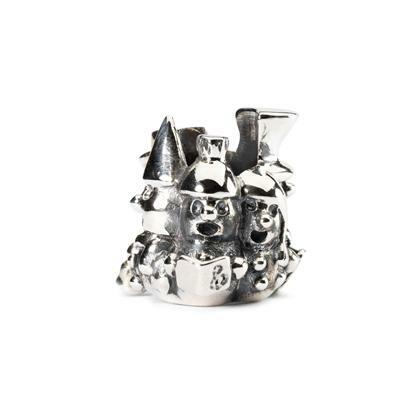 Although intended to be sold as a set, some retailers may split them and sell them individually. Do you have this set? What do you think to this years ornaments?